Select one strip from each fabric. Sew the strips together lengthwise. Press the seams open. Cut each strip sets into 3 units 5 ½’’ wide. Arrange the blocks as shown and sew them into 2 rows of 7 blocks each. Arrange the remaining blocks as shown and sew them into 2 rows of 9 blocks each. Sew the rows of 7 blocks to opposite sides of the quilt. Sew the rows of 9 blocks to the remaining two sided of the quilt. 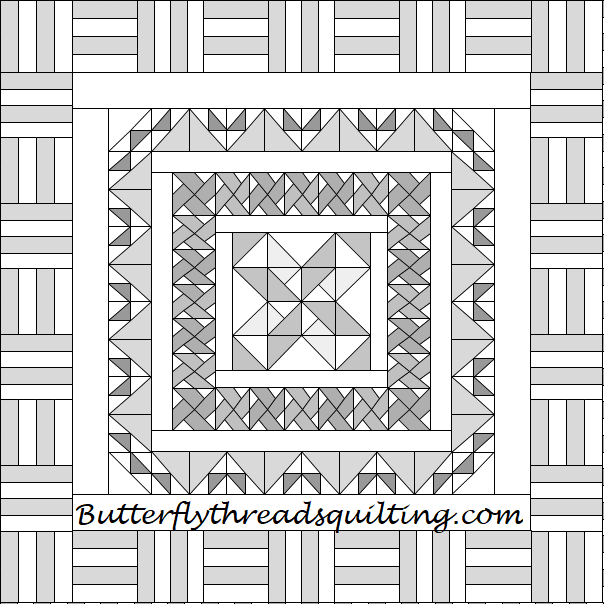 The quilt will now be 45 1/2'' square. Trim if needed. For a printable version of this step click HERE. I hope you have fun with this easy step! I can't wait to see your photos.